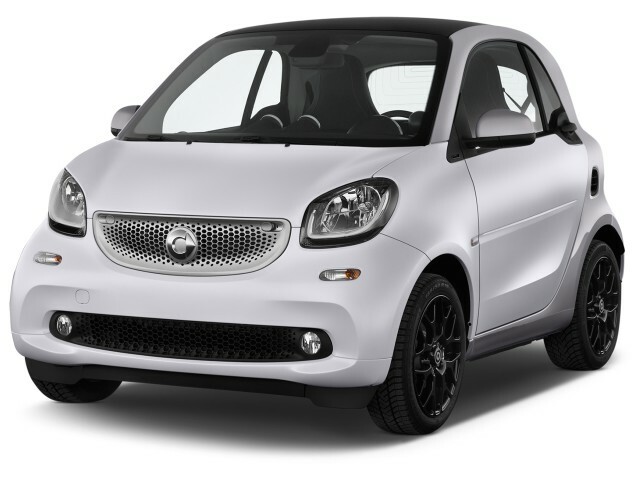 The 2016 Smart ForTwo comes in four trim levels, but if you're looking for basic urban transport, the base-level Pure model is decent equipped and may meet your needs just fine. The 2016 Smart ForTwo promises parking ease—and this time, maybe better fuel economy and handling. The 2016 model year marks the first complete redesign for the Smart ForTwo since it went on sale in Europe almost two decades ago. The fully reconceived version of the iconic two-seat minicar is no longer than before—it's still just 8.8 feet—but it's close to 4 inches wider, which gives it the feel of a compact car if you don't look over your shoulder. The new ForTwo still has a snub nose, perky styling, and a passenger compartment outlined by a contrasting color on its Tridion safety cage. The wheels are pushed out to the corners of the vehicle. But there's a more defined hood front end now, with a short hood that's less beveled than before, to provide better pedestrian protection. Design features carried over from the previous Smart include the prominent shoulder line, frameless door windows, and a split tailgate whose upper portion opens for access while the lower half flips down to provide a temporary surface. New headlights use LED bulbs in the daytime running lights for a modern touch. The "grille" between the lights is essentially a matte-finish blanking panel perforated with holes. The interior is still fairly simple, but it's disguised by different trim colors and a variety of rounded shapes. Two eyeball vents sit on top of the dash, and a small instrument cluster behind the wheel contains the usual gauges. A touchscreen display sits slightly proud of the central console, and overall, the interior has a far more substantial feel. The 2016 Smart is powered by a turbocharged 0.9-liter three-cylinder engine, making 89 horsepower and 100 pound-feet of torque. It's mounted between the rear wheels, with power delivered to the rear wheels. The layout is the same as before, but there's now a choice of transmissions. A five-speed manual gearbox is standard, and a six-speed dual-clutch transmission provides automated shifting for those who prefer it. 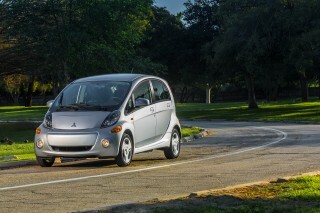 (Smart expects four out of five customers to order the automated transmission.) Combined EPA fuel economy is 35 or 36 mpg, and the company says 0-to-60-mph acceleration is 10.1 seconds for the manual, and 10.5 seconds for the DCT. Smart is particularly proud of the turning circle, which is an astoundingly small 22.8 feet from curb to curb (or 24 feet between two walls). That makes it more maneuverable than ever, and the perfect urban warrior. But the new Smart is also far more capable on the highway than the old one was, and has a quieter and smoother ride under pretty much every circumstance. Noise is well suppressed for such a small car, and the redesigned interior and greater refinement make the new Smart a much more pleasant vehicle to drive or ride in. The 2016 ForTwo comes standard with eight airbags, and a Crosswind Assist function that keeps the car straight during side winds is a standard feature. Forward-collision warning is available as an option. It hasn't yet been rated for crash safety by either the National Highway Traffic Safety Administration (NHTSA) or the Insurance Institute for Highway Safety (IIHS). All new Smarts include power windows, central locking, LED daytime running lights, cruise control, power steering, and audio and other controls on the steering wheel. The audio system includes a CD player, Bluetooth streaming for playing music and hands-free commands. The instrument cluster includes a 3.5-inch color display, and a trip computer and an exterior temperature display are also standard. Beyond the base ForTwo Pure, the Passion, Prime, and Proxy trim levels provide a mix of different features, using interior trim and fittings to give the different models distinct characters. 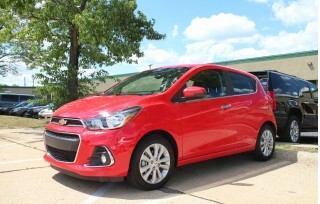 There's also an Edition # 1 special trim package that will only be available for this model year. A top-end JBL sound system with eight speakers and a 240-watt amplifier should provide substantial sound in the small cabin. Other infotainment options include smartphone integration and a navigation system with real-time traffic and weather data. The Smart Cross Connect app lets owners access their car and other useful functions while away from the vehicle. 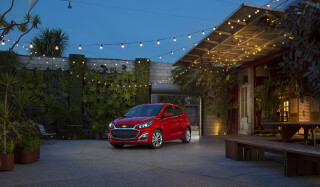 Pricing starts below $16,000 including delivery, and Smart says a fully loaded model with multiple high-end options runs between $20,000 and $21,000. A Cabrio model with a roll-back cloth roof will be offered for the 2017 model year, as will a redesigned Electric Drive version. The all-new 2016 Smart is still recognizably a ForTwo, with a blunter nose giving it more presence; inside, it's modern at last. The 2016 Smart ForTwo is the first entirely new version of the model in more than 15 years, though it didn't arrive in the U.S. market until 2008. It's exactly as long and tall as the first generation, but it's almost 4 inches wider, and Smart has given it a more traditional and blunter nose. Those two changes add up to a more substantial presence for a car that's still only 8.8 feet long. It's still a short, cute two-seater that sits tall, stands slab-sided, and can appear wider than it is long. And it's still the shortest car sold new in the U.S. today. The lack of length is most obvious from the side, when the shortness of its snub nose comes into relief. For the moment, only the fixed-roof Coupe body style is offered, but there will be a Cabrio coming eventually as well, presumably again with the power-opeated cloth roof that offers open-top driving while retaining the structural strength of a crossbar between the rear pillars. The trademark "Tridion" safety cell outlines the Smart's body structure, and generally comes in a contrasting color (there are four) to the body panels (which can be ordered in dozens of shades). The purpose of the contrast is to underline the car's strong structure, from the windshield post along the roof side, down the rear pillar and wrapping around under the door. It instantly identifies the car as a Smart--not that its size wouldn't--and it's an effective design flourish. Another element echoed from the first-generation ForTwo is the fixed window pane at the back of the door and the kicked-up belt-line bulge that contains the door handle. The rear light shape is now a square with rounded corners, rather than the previous pair of round lights, and the grille is pierced with a pattern of hexagons in varying sizes forming a screen that adds visual interest--and is echoed in light patterns and other subtle exterior elements. The biggest changes come inside, however, where the formerly stark and utilitarian Nineties cabin has been replaced by a modern design with up-to-date amenities. A coarse-grained cloth surface is used on the dashboard and door inserts, and seats come in cloth or leather, with contrasting stitching in some trims. A small instrument cluster behind the steering wheel has a digital display in the center with a speedometer around its outer edge, but the tachometer sits in its own pod on top of the dash just inboard of the base of the driver's windshield pillar. Overall, the redesigned ForTwo retains its "Smart-ness" and visual identity while bringing the interior up to date in materials and style. It's a notable improvement over the previous model, and should please existing Smart owners--and perhaps attract some new ones as well. The 2016 Smart ForTwo has more power and an even tighter turning circle, making it the perfect urban warrior, but it's far more confident on highways too. Along with its all-new body, the 2016 Smart ForTwo gets a new powertrain and, for the first time, a choice of transmissions. The layout is still essentially the same, with the engine an inline three-cylinder lying on its side between the rear wheels—with rear-wheel drive—but the 0.9-liter unit is now turbocharged for the U.S. market. That gives it a rated output of 89 horsepower and 100 lb-ft of torque, a substantial improvement over the 70 hp and 68 lb-ft of the previous model's non-turbo engine. 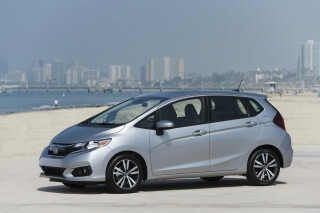 Base models come with a five-speed manual gearbox, but Smart expects eight out of 10 buyers to specify the automated six-speed dual-clutch transmission, a $990 option. Despite a weight gain of roughly 200 pounds, to right around 2,000 pounds, the 2016 Smart is definitely quicker than its predecessor. The company quotes 0-to-60-mph acceleration of 10.1 seconds for the manual, and 10.5 seconds for the DCT, compared to 12.8 seconds for the first generation. Despite that slight deficit, in our estimation the DCT is the better transmission. The manual had a somewhat loose gate with surprisingly long throws for such a small car, and the DCT's shift points are well-matched to the engine tune. With the manual, slipping the clutch while revving the engine was required to get enough power to move out smartly before the turbo spooled up from idle. And we found the car most responsive when engine speeds were kept very high, from 4000 rpm to the rev limit of around 6500 rpm. 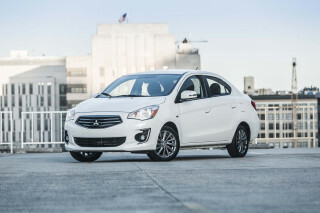 What effect that style of driving will have on the rated 36-mpg combined fuel economy, however, remains to be determined. But fuel economy isn't particularly being pushed by the company, especially since premium fuel is required for best performance. 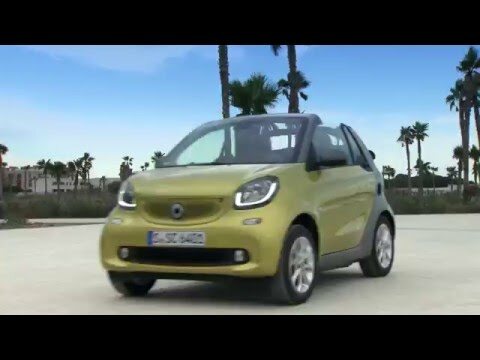 Smart is justifiably proud of the new car's minuscule turning circle. The 4-inch increase in width allowed its engineers to provide deeper front fender wells for sharper wheel angles--they can now pivot to 45 degrees--for a turning circle of just 22.8 feet. With its 8.8-foot length, you can do a U-turn just about anywhere--or do complete 360-degree circles within the width of an average two-lane road. It's one of the car's genuinely grin-inducing factors. In urban traffic, it takes a while to get used to just how short the Smart really is--but once a driver learns the limits of the car's bodywork, it can be maneuvered and parked like no other vehicle. Handling overall is good; the car grips well on its 15- or 16-inch tires, which are still larger in the rear than in the front. But as a Smart engineer said, the car's traction control is "rather strict," and cannot be switched off. That's to ensure that the ForTwo remains "fun to drive, but not beyond"--meaning that it tames potential misbehavior or oversteering from what is still a tall rear-engined car with a very short wheelbase and a pronounced rear weight bias. Most importantly, the new Smart feels considerably more confident and secure at highway speeds--and it's surprisingly quiet and smooth on most surfaces. Driving the first generation of Smart at 70 mph between semis required a certain amount of nerve and a lot of pre-planning, because the car ran out of steam at those speeds. The new has a much deeper reserve of power, though it's hardly a Hellcat--but we'd no longer shy away from taking it on a longer road trip. Most Smarts won't be used that way, of course, but it's nice to know they could be. The new car will also have an all-electric ForTwo Electric Drive version, which will be released toward the end of 2016 as a 2017 model. No details on that car's power or battery range have emerged as yet. Smart at least acknowledged that it was thinking about a higher-performance version of the car, though it notes that Brabus suspension and detail accessories will be available when the car arrives at dealers--but without any powertrain modifications. The 2016 Smart ForTwo finally updates the interior of the smallest car sold in the U.S., and the result is a far more pleasant vehicle in which to spend time. Packaging all the necessary mechanical and safety equipment in a car cksides. But the cargo bay holds 9.2 cubic feet of goods, more than either the MINI Cooper (8.7 cu ft) and about the same as the Fiat 500's 9.5 cu ft. Smart has cleverly built in a second set of mounting points that let you remove and store the retractable cargo cover behind the seats and just ahead of the load floor at the same height, so you can carry it with the car rather than removing it altogether. Storage space is limited to a pair of smallish door pockets, two cupholders, and a clever sideways drawer under the console that opens into the passenger footwell. The tire sealant and inflator that take the place of a conventional spare tire are actually stored under a fake toeboard in the passenger footwell; removing them gives 4 or 5 extra inches of legroom if needed for exceptionally tall passengers. The interior materials and design of the new ForTwo are a huge step up from the previous model. A mix of hard plastic, coarse-weave cloth surfaces, and either cloth or leather for the seats complement a much more conventional dashboard design. There's a small instrument cluster behind the steering wheel, a central display panel that looks like an LCD screen but also holds knobs and dials for some cabin controls, and a conventional console; they add up to a modern interior that's basic but no longer anywhere near as grim, plain, and utilitarian as the old one. The ride of the new Smart is also notably improved over the old one, with the wider track and a slightly longer wheelbase contributing to stability and a vastly better suspension more capable of soaking up road irregularities and sailing over speed bumps in a controlled fashion. Under most circumstances, the Smart was surprisingly quiet; only particularly coarse road surfaces and revving the engine to its limit made the cabin noisy enough to require raising voices. The build quality on the early-production North American-market Smarts we drove was good, with no apparent quality issues, squeaks, rattles, or other flaws. All Smart ForTwo models are built in Hambach, France. The 2016 Smart ForTwo has eight airbags and a Tridion safety cage, but hasn't been rated by the IIHS or NHTSA yet. The 2016 Smart ForTwo hasn't yet been tested for safety by either the Insurance Institute for Highway Safety (IIHS) or the National Highway Traffic Safety Administration (NHTSA), so no ratings are available at the moment. It continues to be built around a very stiff Tridion safety cell, which can be highlighted with different colored exterior panels. The structure now contains about 75 percent high-strength steel, of various grades, up from not quite half in the previous car. Every 2016 ForTwo has eight airbags as standard: driver and passenger dash bags, knee bags, and shoulder/side bags mounted in the seat, plus side curtain bags to cover the window glass. The usual suite of now-mandatory electronic safety systems includes anti-lock brakes, electronic traction control and stability control. Smart has added a new one as well: Crosswind Assist automatically steers and brakes the car to counteract sideways motion that could push the car out of its lane in gusty conditions. It's a system adapted from one fitted to the tall Mercedes-Benz Sprinter van, but we haven't had a chance to observe its effects on our test drives so far. A rear-view camera will be available for the 2017 model year, when an in-dash navigation system becomes available, but for 2016, there's no provision for that system. And the ForTwo doesn't offer any of the newer electronic safety systems found on pricier vehicles in the Mercedes lineup, including adaptive cruise control, lane-departure warning and correction, or automatic crash braking. That said, a blind-spot warning system would probably be superfluous on a car this short, since the rear bumper is only 2 or 3 feet behind the driver's head. The 2016 Smart ForTwo is at least competitive with other small cars, at last, and offers numerous combinations and customization options. The 2016 Smart ForTwo comes in four trim levels--known as Pure, Passion, Prime, and Proxy--and the company offers a wealth of options that make it unlikely Smart drivers will see a car identical to the one they've ordered. Every Smart, even the base Pure cars, includes automatic climate control, cruise control, power steering, power windows, a multifunction steering wheel and Bluetooth for both audio streaming and hands-free phone calls, a 3.5-inch color display in the instrument cluster, and LED running lights. It can be identified, however, by its 15-inch steel wheels covered in silver hubcaps--all the other trim levels have various alloy wheel designs. The three higher trim levels differ in their equipment and interior finishes. Smart says each one gives the car a different personality: Stylish and modern for Passion, elegant and classic for Prime, and innovative trendsetter for Proxy. For the Passion, that translates to two-tone interiors--black with orange, white, or grey--a leather-wrapped steering wheel, powered and heated door mirrors, and a retractable cargo cover. The Prime gets black leather seats with grey accent stitching, leather wrappings for both the steering wheel and gear knob, and a silver Tridion safety cell and grille. Its standard-equipment list is longer, including heated seats, a panorama roof, exterior LED lighting, fog lamps, and a rain and light sensor. Finally, the Proxy gets a white Tridion safety cell and grille, and a startling, vibrant blue and white interior. It includes the Sport package with 16-inch alloy wheels as standard, and also the premium 240-Watt JBL sound system with eight speakers. For the first year of production only, an additional package is being offered, called Edition # 1. This is identified by an orange Tridion safety cell with white body panels, black-painted 16-inch alloy wheels, LED lighting, and the panoramic sunroof, among other features. Inside, upholstery and dash are a blend of black, grey, and orange, and it gets a three-spoke sport steering wheel, sports pedals in brushed stainless steel with rubber studs, a useful storage compartment in the tailgate, and velour floor mats with lettering to spell out Edition # 1. Finally, Smart is very proud of its Cross Connect app for smartphones (Android and iOS), offered free to buyers of the new 2016 ForTwo. While the app is free, the cradle to mount the phone to the center display screen is $100. The Cross Connect app has two modes, one for while the car is moving, when the phone is horizontal, and the other for when it's stopped, when the driver rotates it to vertical. The app offers five functions now, with more that can be added later on when updates are released. An EcoDrive function gives the driver tips on economic operation, including warnings when the car is exceeding the prevailing speed limit. Then there's the Fuel Economy function, which grows trees if you're driving gently and turns the forest into a desert if you're profligate with your fuel. A Navigation mode uses the app to provide mapping and routing; it'll also play Music from the phone; and finally, the Radio function syncs to the car's presets and lets you control the audio from the phone rather than the dashboard. Of these, the Navigation seems to offer the most value, since it substitutes for an in-dash navigation system (which Smart will also offer, but not until next year). But the beta version we tried was significantly slower than the driving instructions provided by Google Maps on the same phone, and it's hard for us to imagine why anyone who's ever used Google Maps wouldn't just do that instead--perhaps ignoring Cross Connect but mounting the phone in that $100 cradle. We did like the Smart Spots function, though, which crowdsources the locations of parking spaces into which only a Smart can fit. There are dozens for most of the major cities where Smart is popular, and hundreds for San Francisco. Drivers who find a new space can photograph it and upload the photo, which will be validated by Smart and then added to the map--if, that is, the owners want to share their good fortune with other Smart drivers. The 2016 Smart ForTwo comes in at 36 mpg combined, which is good but hardly stellar these days. In dual-clutch automatic form, the 2016 Smart ForTwo earns an EPA-rated 36 mpg combined, while Smart Fortwo models with the five-speed manual gearbox earn 35 mpg. Those numbers may come as a shock to those expecting phenomenal mileage from a minicar with such obvious compromises in space and comfort, as well as perceived security on American streets and highways. Specifically, the five-speed manual comes in at 32 mpg city, 39 mpg highway. 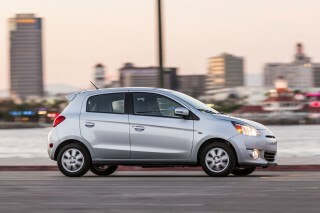 And the six-speed automated direct-clutch transmission rates at 34 mpg city, 39 mpg highway. 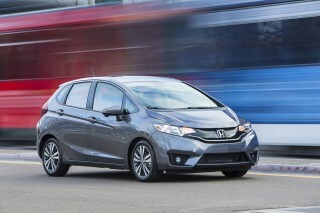 That's no better than the more capacious and far more flexible Honda Fit, which also comes in at 36 mpg combined when fitted with a continuously variable transmission (CVT). And regrettably the Smart still requires premium fuel (at least 91 octane) to obtain the quoted performance figures. Rightly or wrongly, many observers assume that a car less than 9 feet long must be capable of stellar fuel efficiency: 50, 60, even 70 mpg. The laws of physics prevent that, unfortunately, which is why Smart isn't particularly advertising the car's fuel economy as a major selling point, but rather its supremely easy parking and maneuverability. The next Smart ForTwo Electric Drive should arrive toward the end of 2016, as a 2017 model; until then, the existing electric Smart remains available in the old body style—earning an official 68 miles of driving range, and a 32 kWh/100mi (or 107 miles per gallon equivalent) rating. My fouth Smart 4Two and I love it!! I purchased the Edition #1 (the first one sold in Arizona) and I've been driving the car for about 2 years and have had no problems. The car is beautiful inside and out. My local mechanic can do the minimal... I purchased the Edition #1 (the first one sold in Arizona) and I've been driving the car for about 2 years and have had no problems. The car is beautiful inside and out. My local mechanic can do the minimal lube/oil changes. The car drives smoothly and had adequate power to go up major hills with no difficulty. This is my 5th smart including my 2014 electric and the new improvements are fantastic! An all around beauty! Love the front end length..please keep the height....make it easy to get in car. My first impression of the 16 smart is smarter. I love the front end look. I have owned two smart cars and it is very important that the weight is under 2000 lbs. I tow the smart on a trailer designed for the... My first impression of the 16 smart is smarter. I love the front end look. I have owned two smart cars and it is very important that the weight is under 2000 lbs. I tow the smart on a trailer designed for the for my 4-2. I run an Itasca Reyo, which is also a Mercedes and travel from New York to The Florida Keys and really need reliability. I have gotten 48 mpg traveling the keys... a perfect car for that area. If I was a smart dealer, I would sell more of these cars in the Florida keys area.